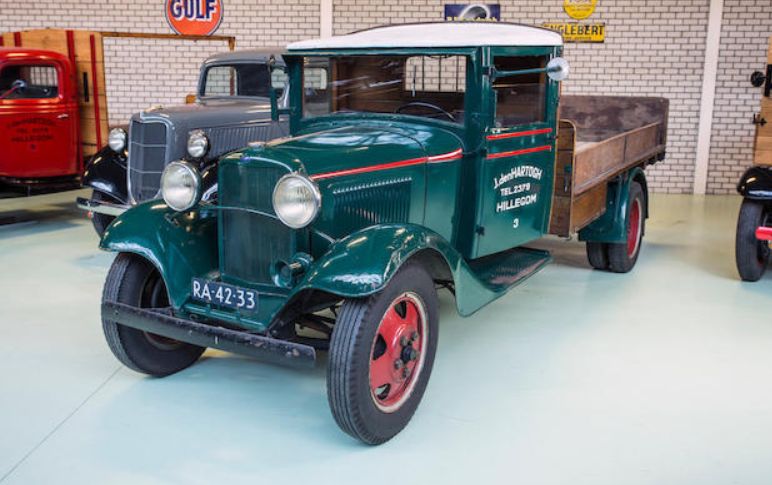 Ford wasn’t big on commercial vehicles when they were first founded. There was a Model E (a delivery van from around 1905) and there were work vehicles created using Model T chassis. But, their first true commercial vehicle was the Model TT that went on sale in 1917 and lasted through end of T production in 1927. These were sold as chassis only and were bodied by many other companies and even by some individuals. It was a one-ton chassis that was longer than a traditional T and it also featured lower gearing for hauling heavier loads (and limited top speed to between 15 and 22 mph). It probably still uses the same 2.9-liter straight-four from the T which would’ve made 20 horsepower. The catalog lists this as a “circa 1917” but 1917 TT production was extraordinarily low, so it’s likely this is actually from 1918 or even a little later. 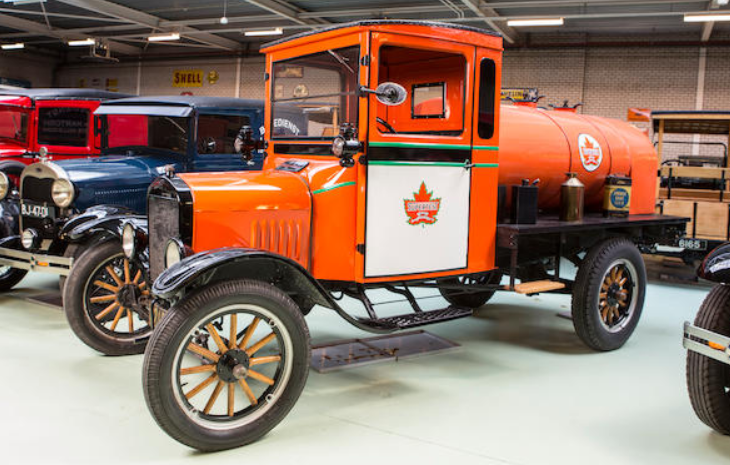 Bodied as a fuel tanker (in Supertest Petroleum livery), this truck has been on longtime museum display but does sport 1925 Canadian plates. It should sell for between $29,000-$41,000. Click here for more info. The Model AA was Ford’s commercial chassis based on the Model A road car. It was a significant upgrade over the TT and uses a 3.3-liter straight-four good for 40 horsepower, double that of the outgoing model. Again sold as a bare chassis (though there were some Ford body designs that could be ordered from outside manufacturers), the AA was bodied to be what the owner needed. This one carries a bus body that has doors down the driver’s side for access to the rows of bench seats. In all, it will hold between 7-11 people, including the driver. It has canvas windows down the sides that can be rolled up and stowed. It also has the luggage rack on the roof, which gives it the appearance of a vehicle used in exotic locales. This example came to the Netherlands in 1995 and has been on museum display for a while. It should sell for between $11,000-$14,000. Click here for more info. This is another example of the Model AA. When commercial vehicles are sold as a bare chassis, the possible body combinations are essentially limitless. If you can imagine it, someone probably had it built. 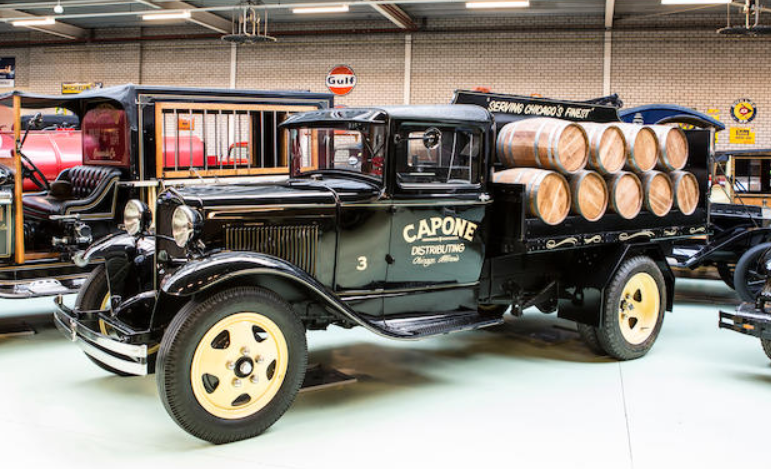 This one wears a platform truck body and is stacked with barrels to compliment its amusing “Capone Distributing” livery. It sits on the medium wheelbase AA chassis but still uses the 40 horsepower, 3.3-liter straight-four engine. The best part about this truck? Those 1930s-era commercial vehicle wheels. This one should bring between $18,000-$29,000. Click here for more info. The Ford Model B replaced the Model A and was sold between 1932 and 1934. When they replaced the A, they replaced the Model AA commercial chassis too, dubbing the new one – wait for it – the Model BB. The Model B finally gave its customers some options – namely that they could choose a four-cylinder or V8 engine. And the trucks had the same option. This truck carries the 3.3-liter straight-four that, in Model B form, makes 50 horsepower. This dually is a stake bed truck and it looks like it was used for quite some time (it carries Dutch registration from 1957). With a little love, it can still be a usable piece of history for $7,000-$9,300. Click here for more info. Here’s another Ford bus. I don’t have much information about the model, the Type 950. But it’s got swoopy windswept lines and nice paint (and those great 1930s commercial vehicle wheels). It’s powered by a V8 engine and has an entrance door on the rear passenger side. There’s a ladder out back that goes over the built-in spare tire to reach to luggage rack on the roof. 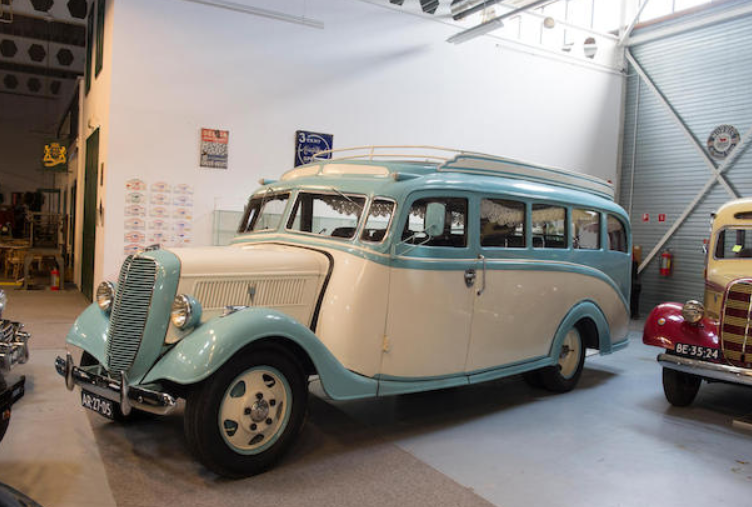 This would’ve been an ideal intercity bus for the 1930s. It was most recently road-registered in 1937 and the interior looks to be in pretty nice shape. It’s an interesting vehicle and should bring between $35,000-$47,000. Click here for more info and here for more from this sale. 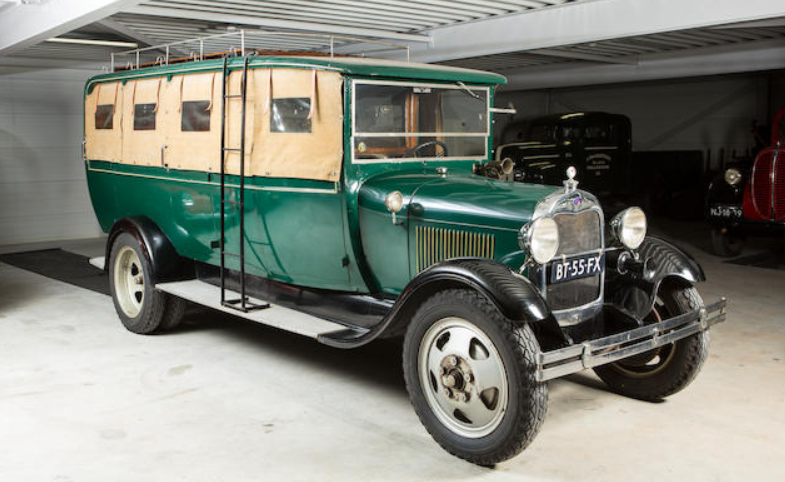 This entry was posted in Uncategorized and tagged 1918, 1929, 1930, 1934, 1937, 82, 950, auctions, autobus, Bonhams, bus, commercial vehicles, ford, fuel tanker, model aa, model bb, model tt, platform, stake bed, truck, trucks by classiccarweekly. Bookmark the permalink.